With eight properties under our belt, we waited a couple weeks and headed out for our second adventure into real estate. We had earmarked a few more non-traditional units and even a couple that were further from our ideal neighborhood just to mix it up a bit. First up was a 2 bedroom and 1 bath duplex loft in Bucktown. We really wanted a two bath, but this place had not one, but two outdoor spaces including a yard! It wasn't as spacious as the loft we'd seen previously, but the unit was well below our budget by 15% and it included parking, so we needed to keep it on the list. The yard and open floor plan we're obvious pluses, but the small bedrooms, access to the yard via the second bedroom and the single bathroom kept it from being a shoe-in. We were definitely going to keep it in mind, though! Next on the list was another Three Flat style place that I was convinced we'd love. The location in Wicker Park couldn't be beat and the finishes were really great... But we couldn't love it. Maybe if it was prices lower or maybe if the place was bigger or different or any number of things. For some reason the granite counter tops and beautiful stainless steel appliances weren't making our hearts go pitter patter. 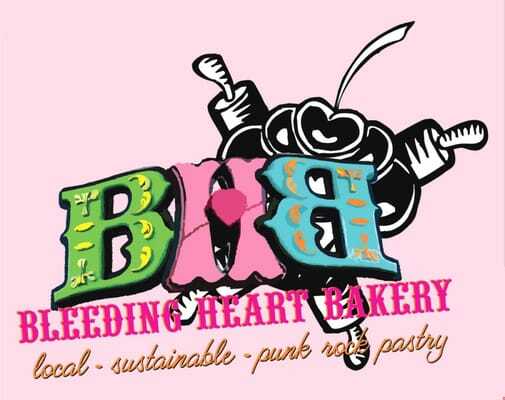 We ended up being stood up at the next unit, so we took a quick coffee break at Bleeding Heart Bakery, a local bakery known for it's alternative baked goods like vegan cupcakes and gluten-free pastries. Baconator was even able to get chocolate covered bacon! Let me tell you, a little fuel goes a long way. After we were well caffeinated, we were off to what was sure to be the gem of this outing. From the photos it was modern and immaculate and all the things dreams are made of. But we got there and there was no key in the lockbox because some other realtor was overstaying their appointment. So we waited. And waited. And waited. Then we left. Our next appointment was over in River West and it was nice. It was a corner unit, but the second bedroom didn't have windows, despite sharing a wall with the outside. The kitchen was gorgeous, but I could sit and eat my morning cereal while listening to the sounds of cars honking during rush hour on the Kennedy. That's how close it was to the highway. Don't get me wrong, the view was phenomenal and every finish had been upgraded, but you know what they say: you can change everything but the location. So with some words to the listing agent about the place being priced too high, we were off again. How can you not love this deck and view of the city? Next up was a property that our realtor filed under "Outside the Box" in our MLS search: a short sale townhouse in Ukrainian Village. We walked in and were immediately taken aback by the amount of space our budget could buy. The place was four stories, had an attached garage 3 bedrooms, a den and 2.5 baths plus tons of outdoor space! So walking through the unit we kept talking about how great the opportunity was; sure the floors needed to be refinished, every room needed to be repainted, that bathrooms were tiny and we'd certainly need to gut the kitchen, but man, we could own a townhouse... (even if it is a bit far from everything)! So with a place that fit our 10 year plan under our belt we were off to the next batch of places. Once we got to West Loop we headed right into a building that was once a Nabisco Biscuit factory that had been renovated to become lofts about 15 years ago. I legit think you could hear our intake of breath when we walked in. The place had 18 foot ceilings, a true chef's kitchen with a dreamboat refrigerator, a gorgeous master bath with brand new everything, TWO closets in the master bedroom including one walk in, exposed brick along the entire right side of the apartment, floor to ceiling windows, a private patio and a space for the Baconator to call his own with its own bathroom. I think I might have thrown out the word love as we walked around. The biggest drawback? The places was at the top of our budget and had assessments of $523 a MONTH! That's a lot of money to be paid to the condo board and not our hypothetical mortgage. Love this kitchen. Straight up Love. So we had lots to think about. The front runners were the duplex 2 bedroom and 1 bath, the townhouse and that loft with the dreamboat kitchen. This house hunt is getting pretty real!